Rich loose glitter in a unique dispenser for cosmetic effects. The rich plush glitters are hyper reflective and have great colour depth. 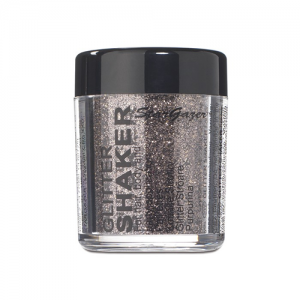 The Glitter Shaker works just like a salt shaker, open the lid and shake the shimmering glitter to achieve really magical glitter results on the hair, nails, face or body. You can also mix the cosmetic grade glitter with your make up or even sprinkle if over drying nail polish to add a sparkle finish. 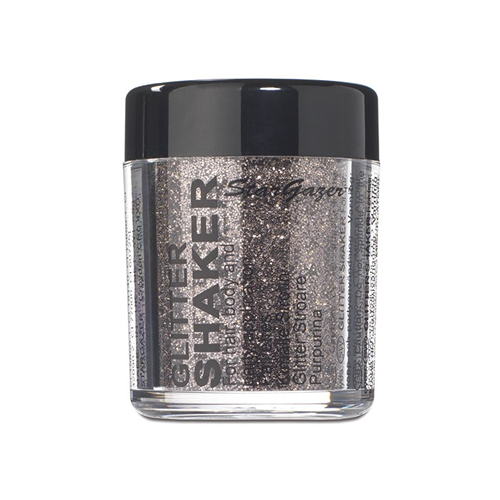 Stargazer Fixative Gel or Ben Nye Glitter Glue can be used to apply to the skin. Ask client to close eyes and then sprinkle where required. Alternatively use a glitter glue such as Ben Nye Glitter Glue or Stargazer Fixative Gel to apply to the skin. Click here for Material Safety Data Sheet for Stargazer Glitter.